Seriously, look at how cute this thing is. We love the convenience of power strips, but finding a place to hide them can be a nuisance. That’s why we’re infatuated with Anker’s Power Cube. Not only does it offer three outlets and three USB ports for connecting six devices, it’s adorable and portable. And today Amazon is selling it for just $19.54, 61 percent off the list priceRemove non-product link, matching the lowest price we’ve ever seen. 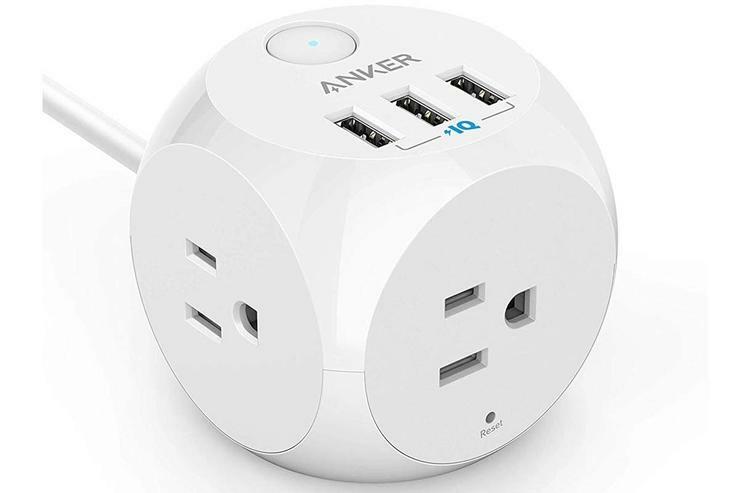 The Anker Power Cube measures less than 2.5 cubic inches, but still offers three full-sized AC outlets and USB ports. It includes overload protection and a fire-retardant casing, as well as a 5-foot cable and an adhesive strip for sticking it to a wall. You can also toggle off USB ports to redirect power. However, because it’s not eligible for Prime, you’ll need to pay $4 for shipping. And it won’t be in stock until September 9. We haven’t tested this power strip ourselves, but it has a 4.5-star rating on Amazon and comes from a brand we know and respect. Plus, it’s the cutest plug we’ve ever seen.